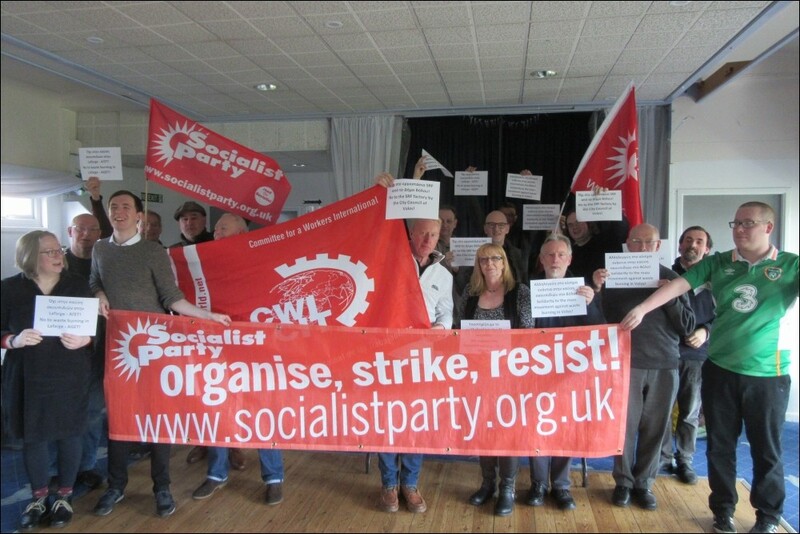 The stand-out contributions at the Socialist Party Northern regional conference came from trade union activists reporting their recent experiences in their workplaces. This made both the discussions - British economic and political perspectives and the one on building the Socialist Party - very real and practical. A Tyneside social care worker graphically showed the destructive effects of cuts on the morale of her colleagues. She's frustrated at not being allowed to give the service which vulnerable people need. This was echoed by a member of public sector union Unison about his hospital in Teesside. The daily experience of a disabled member from Newcastle meant they felt the same. Socialist Party members from workplaces on Gateshead's Team Valley industrial estate reported how they had won some small, but significant, victories for their workmates. One workforce had stopped the arbitrary imposition of drug and alcohol rules and rewrote them in the interests of the workers as a whole. Another had gone into negotiations armed with the figures showing exactly how much the directors take out of the factory. Just letting the bosses pointedly know that general union Unite now has a strike fund of £32 million and will pay out £50 a day to members on strike was enough to get what the workers wanted, without a strike. Meanwhile, Socialist Party members in North Shields are waging a neighbourhood battle to keep a vital footbridge link. Blairite councillors are prepared to get rid of it as part of a land grab by private developers. Therefore, Socialist Party members will be standing as Socialist Alternative council candidates in May's local elections. The Socialist Party has actively backed the transport union RMT strike to keep the guards on trains. And now we're supporting the student strikes and protests against climate change. The £300 collection for the fighting fund reflected our excellent target-busting fundraising in every quarter over the last year.